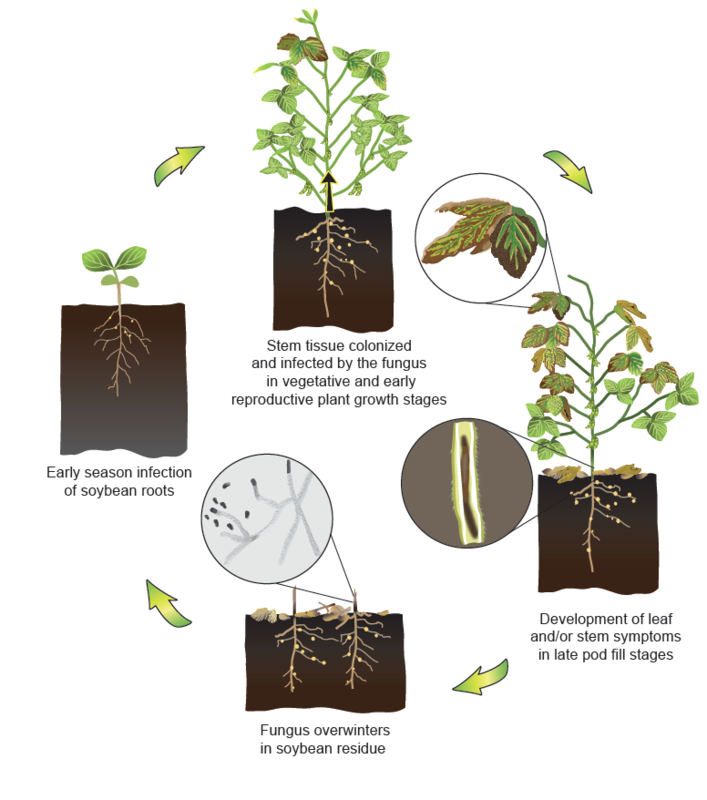 Brown stem rot disease cycle. 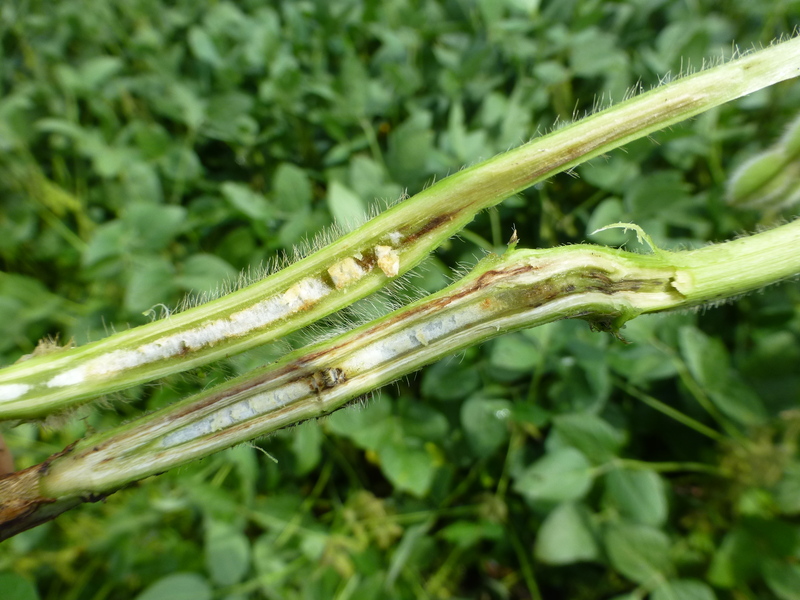 The fungus does not produce long-term survival structures but can reproduce on soybean residue throughout the winter. The pathogen has a limited host range, so crop rotation to a non-host crop (corn, small grains, and forage legumes) will reduce pathogen levels. 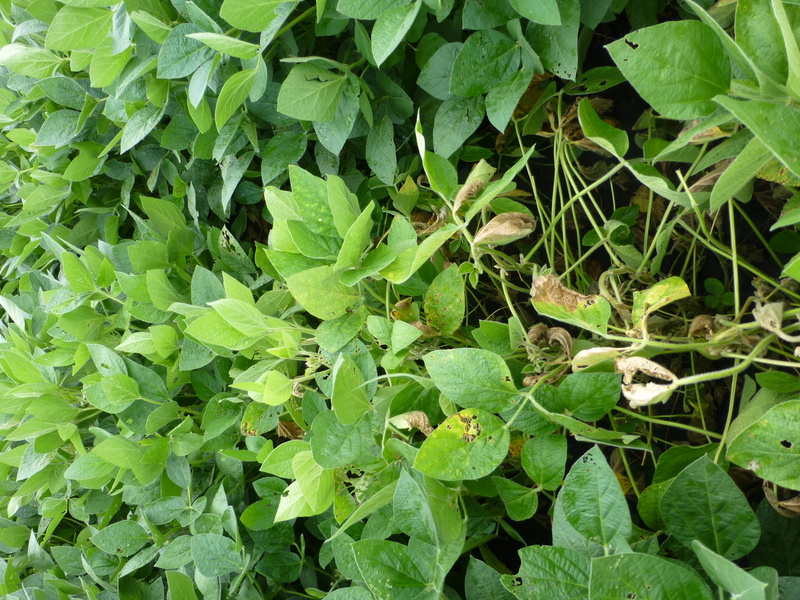 The most efficient way to manage BSR is using resistant varieties. 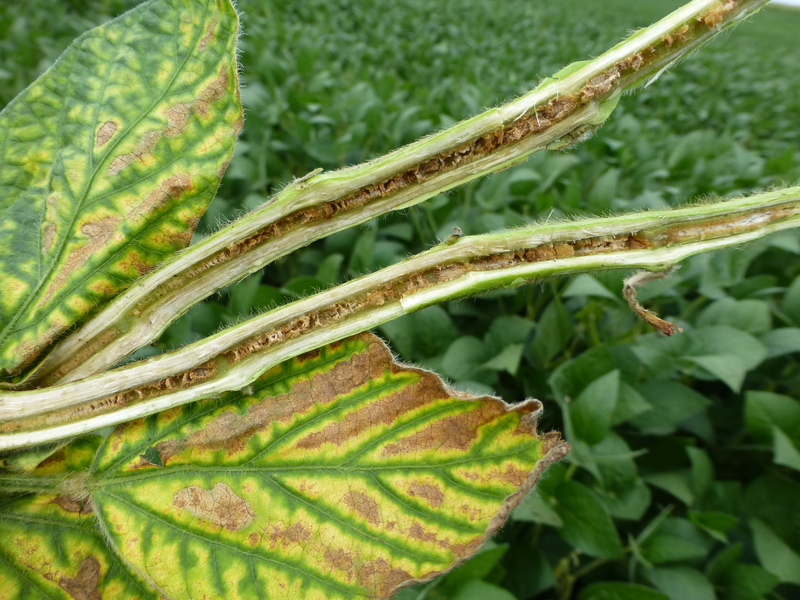 Soybean cyst nematode (SCN) breaks resistance to BSR in most BSR-resistant varieties. 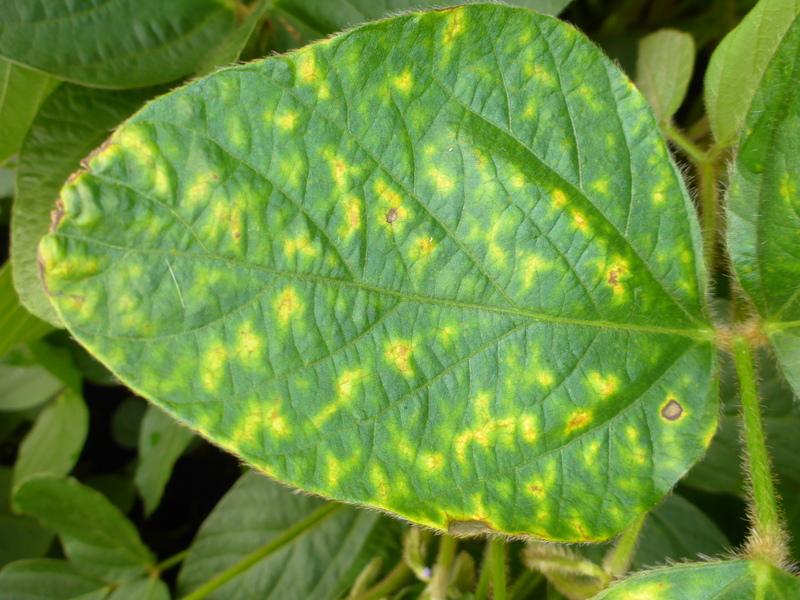 However, many soybean varieties with PI 88788-derived SCN resistance also have BSR resistance. 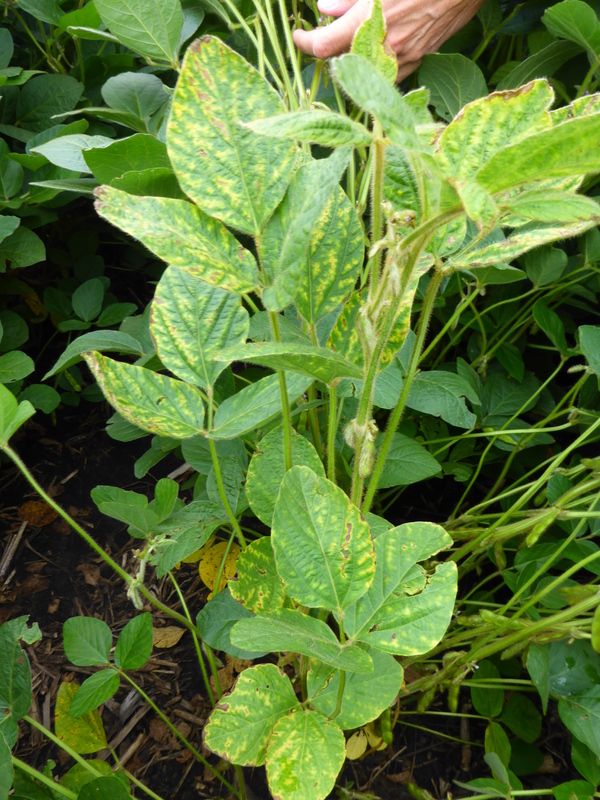 Varieties with Peking- or Hartwig-derived SCN resistance, however, may be susceptible to BSR. 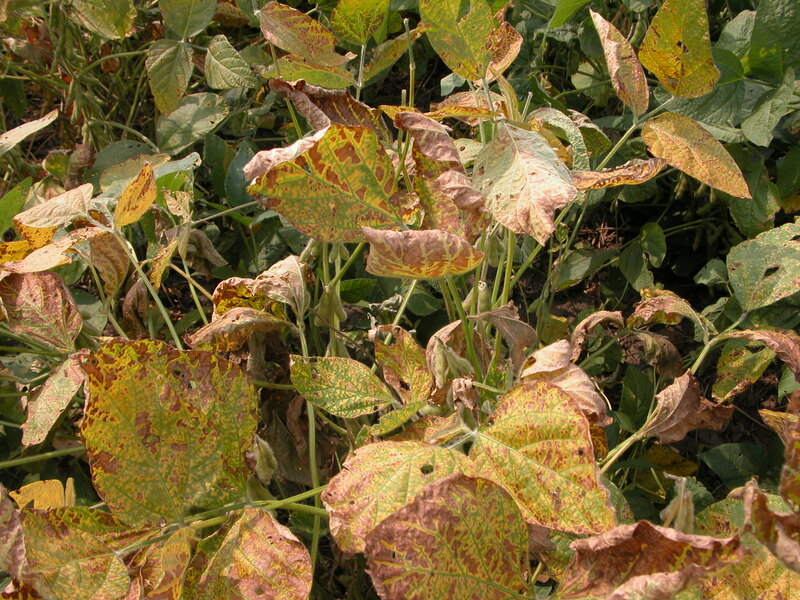 Later foliar symptoms of brown stem rot. 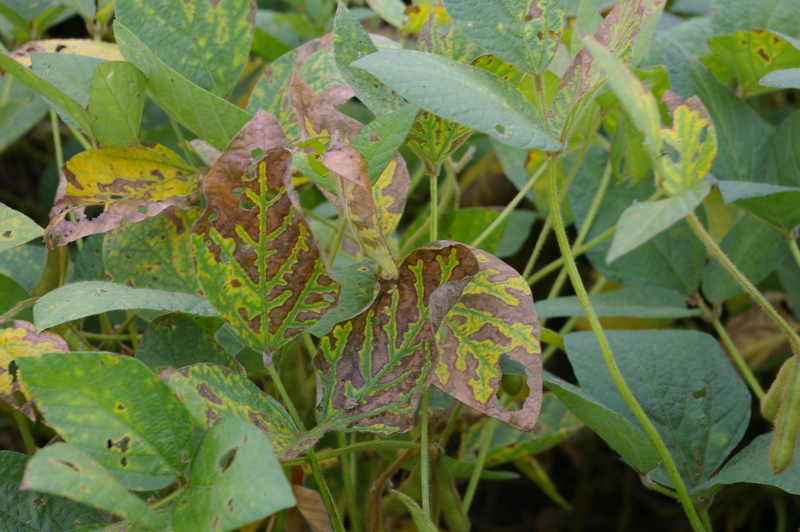 Early foliar symptoms of brown stem rot. Vascular and pith tissue discoloration from brown stem rot. Interior stem browning characteristic of brown stem rot. 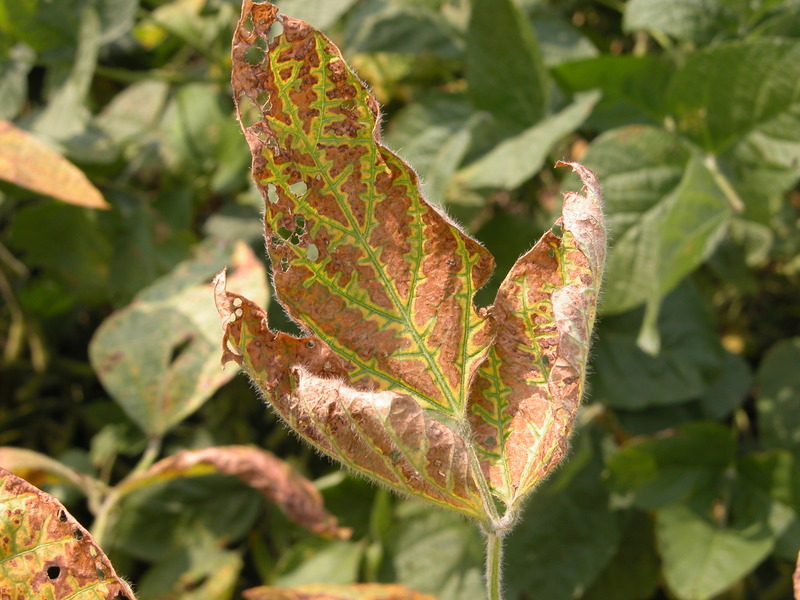 Foliar symptoms of brown stem rot can be confused with sudden death syndrome. Field patch of plants with brown stem rot. Plants with brown stem rot symptoms. 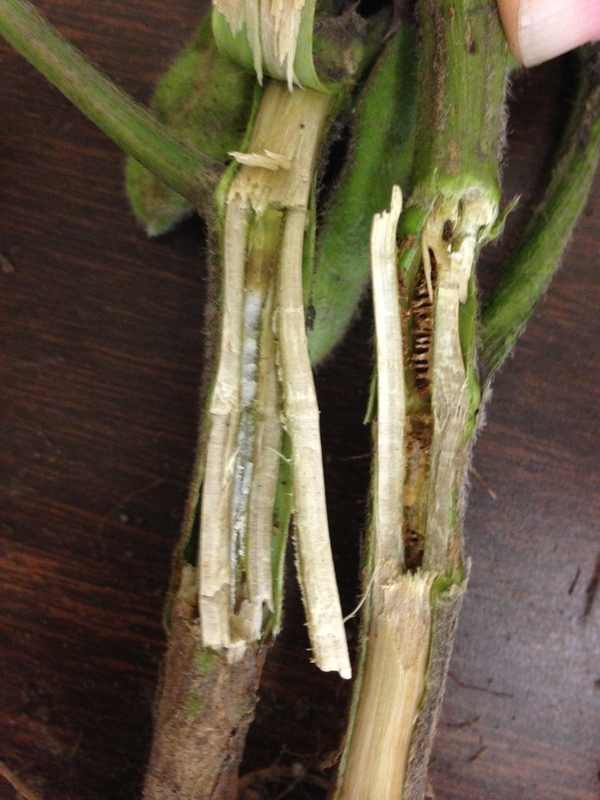 Soybean plant with brown stem rot. 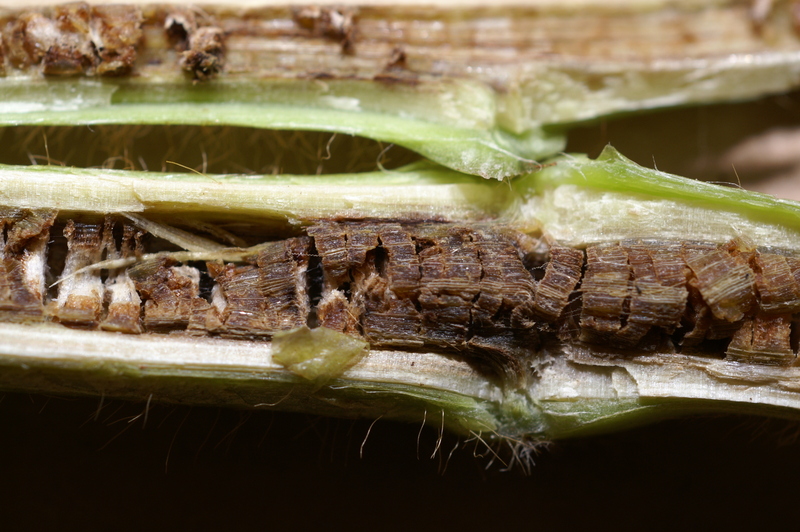 Advanced symptoms of brown stem rot. 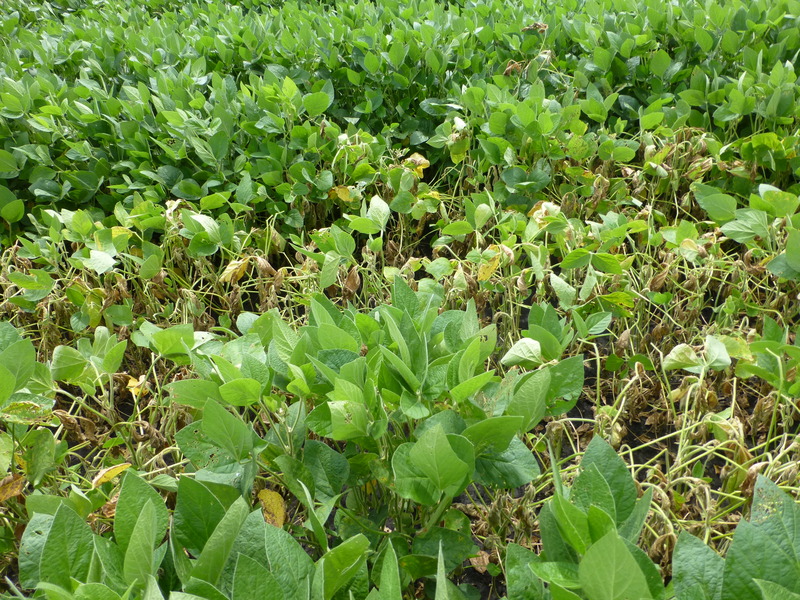 Foliar and stem symptoms of brown stem rot.